As work on our first book Guilt with a Twist unfolded, we began to notice that the importance of guilt extended far beyond its moral purposes and functions. We began to see that guilt’s place in the maintenance of the moral and legal order was far less important than guilt’s role in psychic self-regulation and in the creation and maintenance of human consciousness. Near the end of Guilt With A Twist we realized we had hit upon some ground breaking ideas that advanced a new theory of guilt. We touched on these broader and more important ideas of guilt but didn’t explore them in any depth. Because of the limited treatment, they ran the risk of being lost or overlooked in the swarm of other themes and materials. The fear of losing these ideas among less important material prompted us to write The Guilt Cure. In Guilt with a Twist, we focused on the necessity to incur guilt in order to live life fully. We explored in depth the ways guilt, in its conventional role of maintaining the legal and moral order, could interfere with psychological development. In The Guilt Cure, we focus on the necessity to incur guilt if we are to live at all. In our more than 25 years of practice, we have accumulated an enormous amount of material that is relevant to dealing with guilt in a clinical setting. Because of guilt’s paradoxical and contradictory nature, the clinical material did not fit as well in Guilt With A Twist as it does The Guilt Cure. Guilt has a profound effect on our mental health and wellbeing and we were glad that this very important and interesting material lent itself to integration with the other contents of The Guilt Cure. Nancy Carter Pennington received her MSW from The University of Maryland. For more than 30 years, Nancy has had the privilege of working with clients on a range of issues: phobias, OCD, grief, depression, obsessive thinking, guilt, and relationships. Lawrence H. Staples is a Jungian analyst in private practice in Washington, DC. Dr. Staples has an MBA from Harvard, and a Ph.D. in psychology; his special areas of interest are the problems of midlife, guilt, and creativity. He is the author of Guilt with a Twist: The Promethean Way and The Creative Soul: Art and the Quest for Wholeness. The hero who searches for new paths in his heart and soul often lets hints and hunches guide him forward. Yet, he also needs to be equipped with courage to search beyond the boundaries of common ground and with humbleness towards the unknown that lies ahead of him. He must also carry a bagful of questions and concerns, curiosity and conflict, doubt and fear; “Every man hath the right to doubt his task, and to forsake it from time to time; but what he must not do is forget it.” Paulo Coelho, The Fifth Mountain, p. 53. 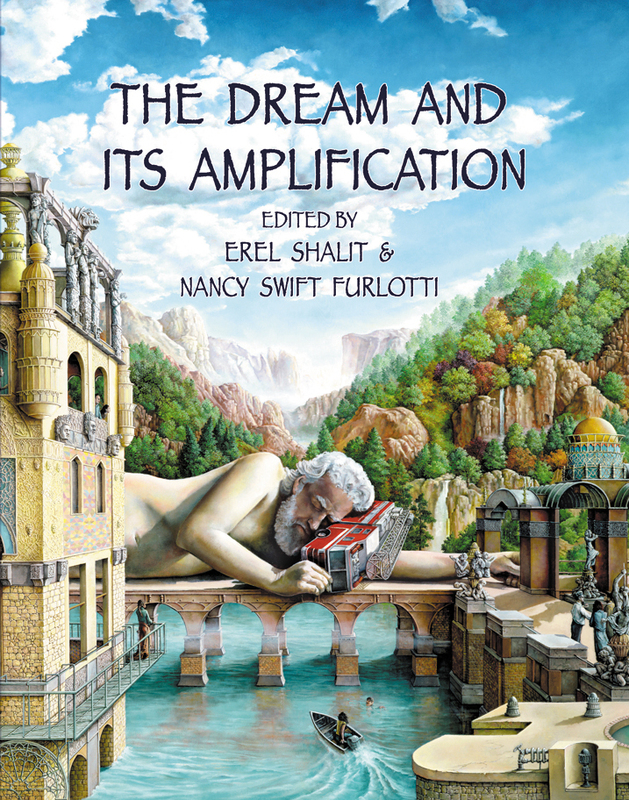 Erel Shalit titles are on Sale now at the Fisher King Press online bookstore. Modern medicine comes down to us from Galen and Hippocrates, Greek physicians who were part of the ancient cult of Asklepios, the god of healing. According to myth, Asklepios, the son of Apollo, learned the healing arts from the centaur Chiron. He learned easily and became more skilled than his mentor, even succeeding in raising the dead. But this stirred the wrath of Hades, who complained to Zeus about the encroachment on his domain. Zeus responded by killing Asklepios. But after death Asklepios was given a place among the gods, from which, it was said, he affected even greater cures than before. From Greece, the worship of Asklepios spread throughout the ancient world. More than four hundred temples were built from Egypt to Rome, with the most famous at Epidauros. The temples existed for one thousand years. Their disappearance coincided with the development of the healing shrines of the various saints—the most recent example being that at Lourdes. Clearly, then, modern medical science has religious roots. Today’s surgery and pharmacology dominate a healing discipline that evolved from direct experience—usually through dreams—of the god of healing. Along with other aspects of ancient religions, the sacred practices of Asklepios were incorporated into Christianity. People began making pilgrimages to the gravesites of saints and martyrs associated with healing. As with Asklepios, the reports of healing became significantly more dramatic after the saints’ death—when, presumably, they became channels of God’s healing power. Coincidentally, Christ’s death and resurrection bear parallels to the story of Asklepios. Jesus also raised the dead, and in John’s gospel he meets his own death after the raising of Lazarus. Afterward he ascends to heaven, taking his place with God. Then he emerges to dispense divine grace and healing. In the absence of a gravesite for Christ, the graves of certain saints became the precincts where one could seek healing from God. As such sites proliferated and Christianity came to dominate the Mediterranean world, the temples of Asklepios yielded their place. Medieval physicians continued the medical science begun by Galen and Hippocrates and originally inspired by the Greek god of healing. During the renaissance and the age of enlightenment, the scientific side of medicine began to grow, while the spiritual side declined. Healing was seen more and more in concrete, biological terms: illness was physiologically caused and could be remedied through medicine or surgery. By the end of the nineteenth century this became the exclusive view. According to Greek myth, Asklepios had two sons, Machaon and Podaleirios. Machaon was the first surgeon, while Podaleirios healed “invisible” ills, including those of the soul. (2) The work of Machaon has developed into today’s medical practice. That of Podaleirios was absorbed into the healing cults of the saints and has gradually died out. It has so thoroughly disappeared from our religious institutions that the quest for meaning and the religious nature of the psyche frequently turn up in the psychotherapist’s office. The loss from our churches of what Podaleirios represented is felt both inside and outside organized religion. Depth psychology allows the forgotten side of the Greek god of healing to be recovered. Inner experiences crucial to healing become available once more. However, it offers more than a recovery of the healing of Asklepios; it opens the door for a recovery of the healing work of Jesus. Like the cult of Asklepios, Jesus’s healing reflects the profound importance of spiritual and psychological elements. But while Asklepios, and the Christian cults that followed him, focused on the divine physician or god of healing, Jesus also stressed human interaction and human feeling. He carried on aspects of the ancient traditions of the shamans, human beings with healing personalities. (3) While linked to shamanism, Jesus also prefigures depth psychology. In a sense he was the first depth psychologist, preceding Freud and Jung by nineteen hundred years. As we have seen, the healing that Jesus practiced and tried to pass on became lost as his divinity was proclaimed. Legends grew up around him after his death—the healing cult of the proclaimed divinity—but the fully human healer disappeared. Depth psychology allows us to renew not only the ancient religious roots of the physician, but also the shamanistic style of healing—in which the psyche lives fully in the interaction between two people. The future of the church hinges on its capacity to integrate such healing into its life. The growing numbers who journey to the psychotherapist’s office nowadays demonstrate the desire and need for this. The church’s recovery of healing in the decades ahead will go a long way in determining whether it answers Jesus’s call, or whether the task will be left to others. Steven Galipeau is a Jungian analyst in private practice in Calabasas, California and President and Executive Director of Coldwater Counseling Center in Studio City. A member of the C.G. Jung Institute of Los Angeles, he teaches in the analyst training program and lectures regularly in public programs on a wide variety of topics related to Jungian psychology. In addition to Transforming Body & Soul, Steve is also the author of The Journey of Luke Skywalker: An Analysis of Modern Myth and Symbol. 1. C.A. Meier, Ancient Incubation and Modern Psychotherapy. 2. C. Kerenyi, Asklepios: Archetypal Image of the Physician’s Existence. 3. John A. Sanford, Healing and Wholeness. Chapter 3, “The Divine Physician,” and Chapter 4, “The Ecstatic Healer,” amplify some of the differences between the inner divine healer and the shamanistic healer. There are many schools of psychological and/or spiritual development. One essential feature that distinguishes Jung’s way of individuation from other ways is “shadow work.” Let us look at what that entails. Jung belongs to a large number of visionaries who realized that humanity in the modern world needed psychological and spiritual renewal. Not that Jung claimed to start a spiritual group movement. He tried to show a way for individuals to step back from a darkly materialistic age and find solace in their own gifts from the unconscious. But he also realized that the fear that seizes us when faced with the unknown keeps us from wanting to know the unconscious and irrational factors in ourselves, even our spiritual dimensions. When I was a child I heard that Jesus and Mary sometimes appeared to people in visions, as happened to Bernadette of Lourdes. The thought of being visited by a divine being terrified me so, that I prayed to Jesus and Mary to please not choose to come to me. I suppose I knew intuitively that my ego could not withstand such an infusion of psychic energy. Many people experience a similar terror in the presence of a psychotic person, or the first time they attend a religious ceremony at which some people give in to spiritual ecstasy and lose consciousness. It is hard to give up ego-control. Many spiritual movements ignore the importance of this psychological fact and end in power struggles, divisive squabbles over details, and split-loyalties between members. This is why Jungians place so much importance on clearly individual psychological work while searching for spiritual nourishment. Unless we deal with our inner conflicts, we thrust them into any group efforts we attempt. They color and pollute our religious institutions. It is possible for a person to acquire a dominant spiritual life and still remain emotionally infantile, unable to negotiate psychological pitfalls. Jung’s efforts were to help us secure a solid relationship with physical and social reality as well as spiritual reality. Power-hungry gurus, abusive priests, charlatan preachers, extravagant church funds, censors of books and information-sources by which institutions protect their authority are ways people’s personal complexes poison their spirituality. This optimistic picture seems far from possible in this age of religious strife, holy wars, and philosophical attacks on a principle of unity. 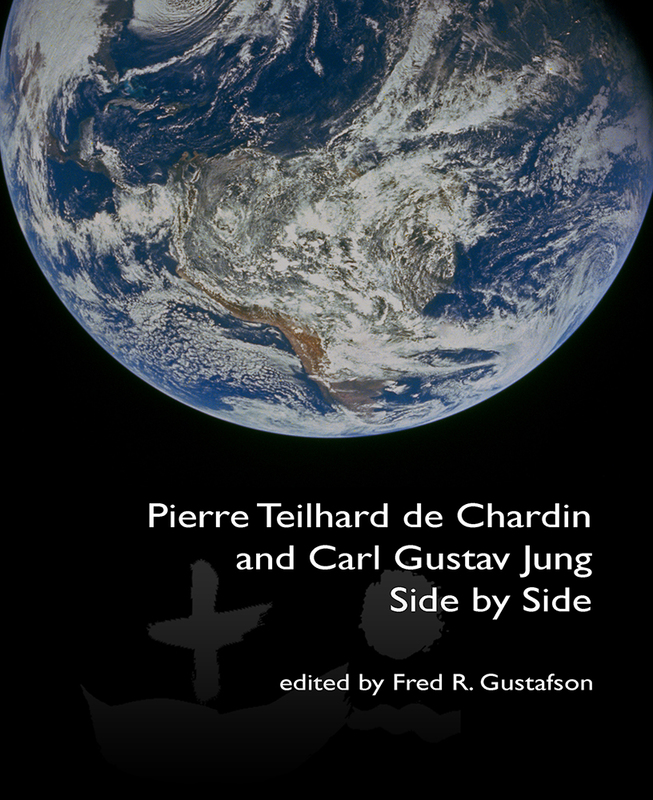 But throughout history there have been men like Jung, Edinger, and Spiegelman who stand for the power of the uniting principle to transform what often appears doomed: life in the universe, and at least, the life of the soul. Jung was not in the business of starting a new religion. Born into a Christian worldview, he was inquiring into why religion, particularly Christianity, his tradition, was not meaningful to many who called themselves Christian in name only. Their connection to their religion seemed dead, but they carried on as if they still believed what they were doing. In his research into the problem, he discovered that the religious component of psyche is deep and universal. Beneath layers of conscious material is a center, like a fountain of psychic energy, which enlivens the mind and heart and asks to be honored. It makes itself known to us through symbols which attract us and touch us emotionally. He called it the Self and realized that our notions of God spring from that center of energy. When we are in touch with that center, we understand the religious experience. It comes alive with awe, but it may or may not resonate to the usual religious symbols; it gives us a personal relationship with a divinity or divinities that may or may not include our known institutional symbols, pictures, stories or formal rituals to which we are accustomed. The new myth has appeal to atheists and all who experience a need for integrity without a specific god-image. 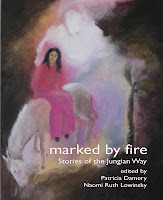 For Jung the way that we express religious wonder was not the point. The point is to experience the deepest layers of the unconscious, or Self, where our divinity makes itself known. This is dangerous, however, because we can transfer the energy from the source to our own aggrandizement. Without humility, humankind can become so selfish that we can destroy our civilization and planet. Atheism is not in itself destructive. Many atheists are humanists who put the dignity of man above their own needs and achieve a lifestyle that is respectful and compassionate. But without the leaven of humility and gratitude toward something beyond the personal, Jung feared we would become victims of power hunger, with the power that belonged to the Self transferred to our egos. This raises the issue of the basic goodness of human beings. Was Jung right? Do we need a deep relationship to the transcendent layer of psyche to evolve morally, or can we do it from a purely human perspective and from the layer of conscious ego? Spiritual leaders as well as atheists risk assuming the power of the Self for their own aggrandizement. The power exuded by a charismatic leader attracts followers who need the charge, so the inflation of the leader continues to be fed. Jung’s injunction to continually look at our shadow prevents inflation and encourages humility. Such an attitude does not apply only to Christians. As Edinger explains: “We are in a position to begin to understand scientifically, and generally, the psychological entities that generate religions.” (Edinger, Science of the Soul, p. 58.) Because we are on such an edge of self-destruction, Jung called this time in human development “a moment of deadliest peril.” (“The Archetypes and the Collective Unconscious,” CW 9i, par. 217.) Jung’s hope was that enough people would encounter the Greater Personality to effectively inoculate the culture against inflation as atheism and inflation as religious fanaticism. 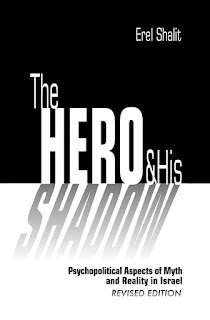 The Hero and His Shadow: Psychopolitical Aspects of Myth and Reality in Israel introduces a psychological perspective on the history, development, and myths of modern Israel. The realization of Zionism relied on the pioneer, who revolted against the Way of the Father and sought spiritual redemption through the revival of Mother Earth in the ancient land. Myth and history, psyche and matter are constantly intertwined in the birth and development of Israel, for example when in the Declaration of Independence we are told that pioneers make deserts bloom, the text actually says they make spirits blossom. Pioneer, guardsman and then warrior were admired hero-ideals. However, in the shadow of the hero and the guiding myths of revolt, redemption, strength and identity-change, are feelings of despair, doubt, weakness and fear. Within renewal, lurks the threat of annihilation. Suppressed aspects of past and present myths, which linger in the shadow, are exposed. Psychological consequences of Israel’s wars, from independence to the present war of terror, are explored on a personal note and from a psychoanalytic perspective. 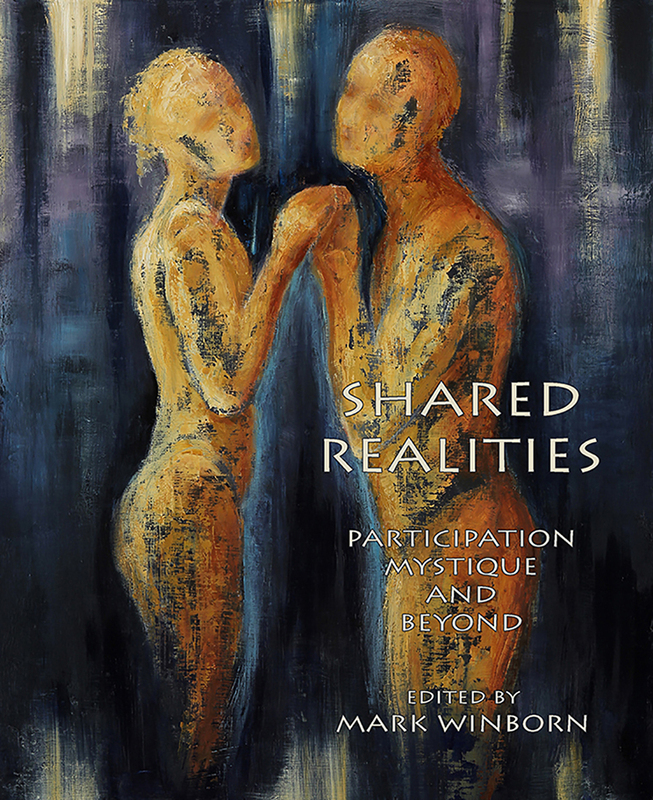 Shadow aspects of the conflicting guiding myths Peace and Greater Israel are examined, as well as mythical connections, such as between Jerusalem and the respective archetypal images of Wholeness and Satan. Erel Shalit is a Jungian psychoanalyst in Ra’anana, Israel. He is the author of several publications, including Enemy, Cripple, Beggar: Shadows in the Hero’s Path, The Cycle of Life: Themes and Tales of the Journey, The Complex: Path of Transformation from Archetype to Ego, and Requiem: A Tale of Exile and Return. Dr. Shalit lectures at professional institutes, universities, and cultural forums in Israel, Europe, and the United States. I had read this passage many times but it was soon to take on richer meaning. Since we know nothing of Jesus’ conception and birth, legend and myth “fill in.” The word ‘myth’ comes from the ancient Greek word ‘mythos’ meaning ‘word.’ Both ‘logos’ and ‘mythos’ mean ‘word.’ While ‘logos’ refers to rational thinking, ‘mythos’ describes poetic or intuitive thinking. “Biblical accounts of Jesus’ birth and resurrection are ‘mythos.’ Biblical historical facts of his life are ‘logos.’ Both are true.”(1) Myths or mythos express truth closer to life’s meaning than facts. Myths resonate in the soul. For example, stories about the quest for the Grail resonate with all “searchers.” We long to experience the Holy, the numinous. The Annunciation, the birth in the stable, the shepherds’ adoration, and the journey to Egypt, all of these give valuable insights into our personal spiritual journey. And the artists who have painted these scenes have provided us with “windows” into depths unknown perhaps even to them. Some of these “windows” would eventually open for me into other images of Mary, as Virgin Mother, Black Madonna, and Wisdom Sophia. But, at that moment down in my basement study, I was captivated only by the Annunciation. I longed to see other artists’ versions of the scene. In Milan, Arezzo or Florence, I sat in churches just looking at sculptures and frescoes. In museums, I marveled at the number of artists who had painted the scene with such depth, delicacy and power. Now these images of Mary, masterpieces from another age, stirred something vital within me. Writing these pages helped awaken me to their personal and symbolic meaning. Over many years of paying attention to images from my unconscious in dreams and in artistic works, I was beginning to “see” a connection between the image and myself. 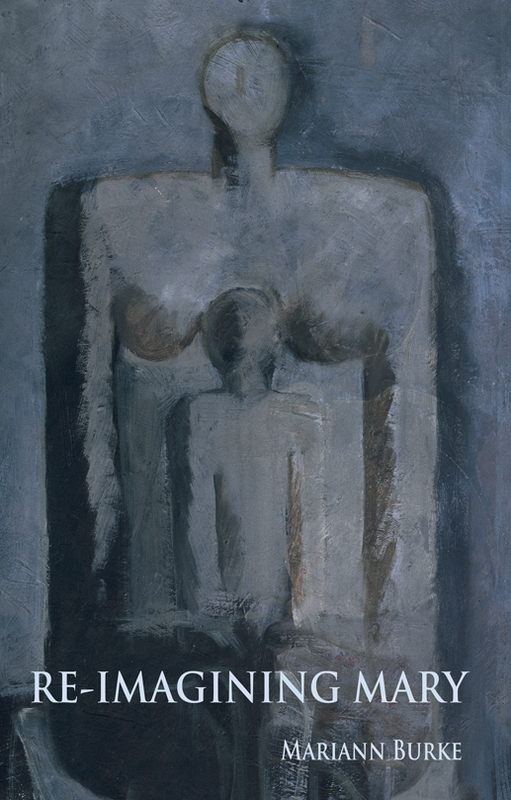 I had known that through the history of Christianity there have been two ways of interpreting images or symbols: the historical and the poetic or imaginative. I had been exposed to the historical or literal. Now I began to realize that the two are not mutually exclusive. Early Christians honored both approaches but the historical and literal gradually took precedence. In this view the Annunciation is something that happened in the past. In the poetic or mythic approach, we are not so much viewing an image as experiencing it. My personal experience and my study of Jung would open me to see the Annunciation not as history, but as something happening now. (2) Taken in this way, the image reflects something within me. Like a dream, the image is happening within. There will be born in thee the Eternal Child. Then God will impregnate your soul for sure. That God may rise up in my soul and shatter me. 1. Seminar notes by Dr. Richard Naegle, Guild for Psychological Studies, San Francisco, 1995. In St. John’s Gospel “Logos” refers to the eternal existence of the Word. See also Karen Armstrong, A Short History of Myth, p. 31. 2. Joseph Campbell, The Mythic Image, p. 58. 3. C.G. Jung, Mysterium Coniunctionis, CW, Vol. 14, p. 319. Trim Size 9.25" x 7.5"
This statement reflects Jung’s cyclic perspective, as well as the centrality of the image in Analytical Psychology. It is not an ego-psychology; the world of the psyche does not reside in the ego; rather, what we call ego is contained in a world we call psyche. The Jungian approach to man’s psyche is situated at the edge between consciousness and the unconscious—never fully established on the empirical ground of ego-reality, its natural habitat is on mountainous myths, or wandering off into fairy tale forests. For the same reason, Jungian psychoanalysis has many names, reflecting Hermetic movement rather than Apollonian authority, and the elusive images of the soul take the place of the well-defined mechanisms of the mind. The hero serves as an image of that aspect of our ego that ventures into the unknown land of shadows, for instance in our dreams at night, to trace its treasures and bring them home to consciousness. These images are primarily intended to reflect the matter and fluidity of soul, rather than providing empirical structures and systematic definitions; I hope they facilitate weaving the story of the hero’s journey into the soul and the shadow. The hero ventures into the shadow-land, far away from home, beyond the familiar security of ego-boundaries. Or perhaps the shadow is not a land, but an entire continent, with many different landscapes—fields and valleys, seas and forests, some quite recognizable, others remote and mysterious, some seemingly friendly and embracing, others hostile and intimidating. The forests may become increasingly dense and dark, the sea so wild and stormy that it carries one away, “far from native lands,” to the point where one may contemplate “whether to cast myself out of the ship into the sea and perish there, or ... to endure and bide among the living.”(6) Some of those in shadow-land are easily recognized as foes we loathe. Yet, often envy, pride, greed, anger, and lust are found in friends whom we’d never believe could possess such qualities—or even more, we discover these universal patterns, those “deadly sins” within ourselves. There are also warriors and cripples, the homeless and vagabonds, and some of awe-inspiring stature. The land of shadows holds both the chains and the treasure-house of our ancestors, as well as the prospects and the promises, the fears, anxieties and uncertainty about our offspring. It pertains to the shadows we cast onto our enemy so that we may fight him—yes, usually him—in order to gain a sense of a free and secure personal identity. And it is the crippling sense of complexes that we may try to dump on the dunghill, outside and away from the central city square and the walls of our ‘ego-state,’ only to be terrified as they stare back at us when we try to gain a moment’s rest. And there, further down the murky path, stands the beggar as if faceless, without the social mask of the persona, lurking in the misty shadow at the gateway to the Self. In addition to Erel Shalit's most recent publication: The Cycle of Life: Themes and Tales of the Journey, his popular book Enemy, Cripple, Beggar: Shadows in the Hero’s Path, are available in both printed and eBook editions and can be ordered from the Fisher King Press Online Bookstore and from a host of international booksellers, including Amazon (.com, .ca, co.uk, .fr, .de) in printed and kindle editions), Barnes & Noble (printed and nook editions), and all international Apple iBookstores.